Melbourne’s main pedestrian shopping area with large department stores. Main street in the Central Business District (CBD) of Melbourne. 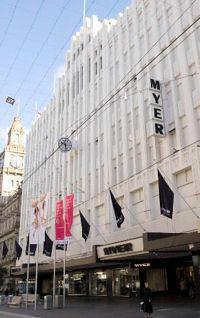 In Collins Street are many luxury designer stores: Armani, Bulgari, Chanel, Dior, Gucci, Hermes, Louis Vuitton, Prada and Tiffany. 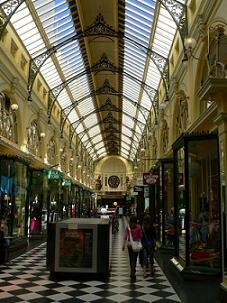 Also several large shopping centres: Collins Place, Centreway, Block Arcade and Australia on Collins.